A well-equipped café and bar serving a wide selection of coffees, refreshments and multi- coloured cocktails, beside the soothing sounds of the nearby water fountain. A restaurant serving international menu options, prepared mostly using biological produce from the farm, including local dishes and mouthwatering desserts. A playroom, complete with a pool table. The kids probably get an even better end of the deal, since they can be free to roam the farm's secured premises and learn more about the vegetables and fruit cultivated there, as well as visit the farm's animals and play in the beautiful nature outdoor setting. 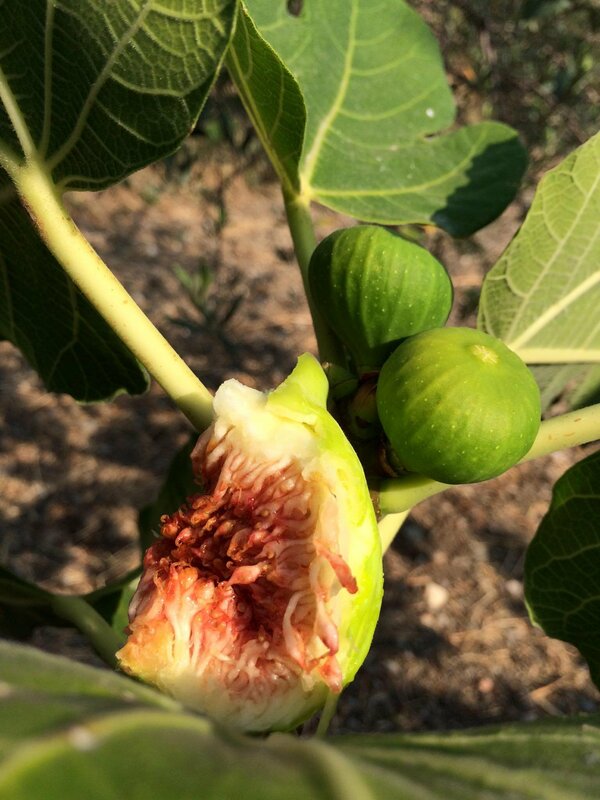 Tastings, Greek nights and other activities are regularly scheduled at SwedCo Farm, so keep a look out or call them if you want them to host your own event (+30 22410 22919). At the northernmost part of Rhodes, stands a pale yellow building which you cannot miss. Built in 1934 by Italians, it first housed the Royal Institute of Rhodes Marine Biology in 1937. After the island came into Greek rule in 1947, the institute was put under the jurisdiction of the Academy of Athens. 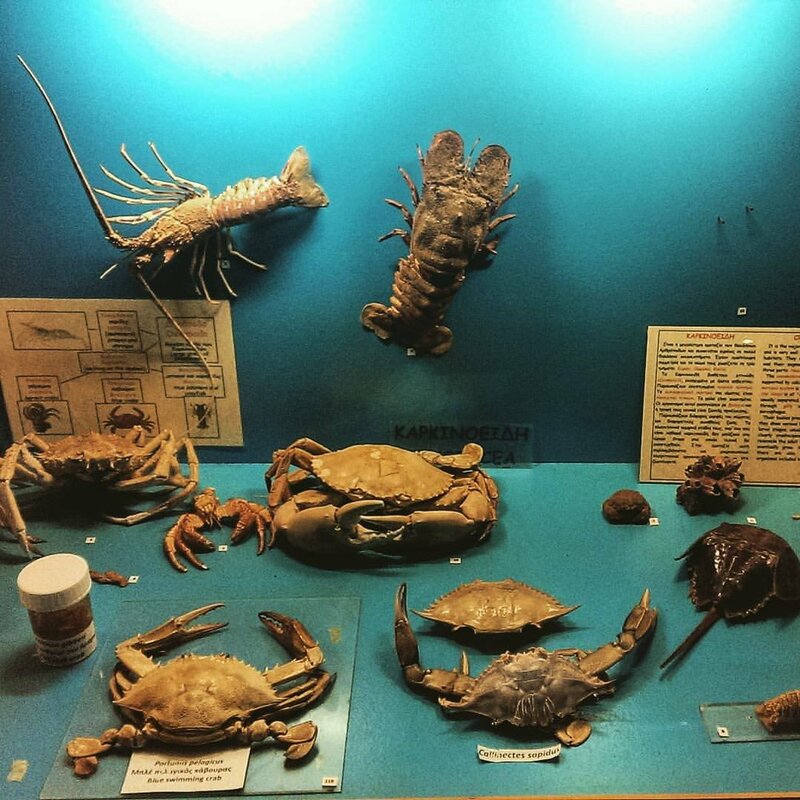 Since 1963, it has been open to the public as an aquarium and museum, also housing one of the most significant research bases in the Mediterranean, the Hydro-biological Station of Rhodes. 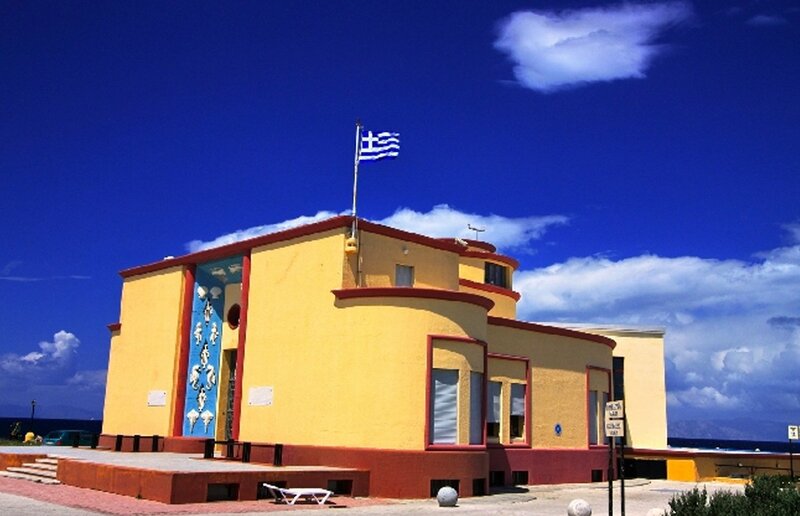 The building itself is of great interest, one of the rare examples of art deco architecture in Greece, protected as a historical landmark by the Ministry of Culture. The exhibits on display are kept in 28 fresh and sea water tanks, equipped with filters and telematic systems of the latest technology. The sea water in the tanks is actually pumped straight from the sea, from a depth of 44 meters, at a rate of 45.000 – 50.000 litres per hour! Two bronze mermaid statues and giant tridacna gigas oyster welcome visitors at the entrance and usher them to the three exhibition rooms. A video projection aiming to raise ecological awareness for the respect of all – and especially – marine life and natural environment is the best introduction to the rest of the exhibits in Room A. In Room B, visitors are invited to take a closer look into a seeming empty water tank: with the help of a high definition microscope, which they can operate on their own, they soon realize that the tank is not in fact empty but filled with tiny shrimp, crabs and other cute micro-organisms. 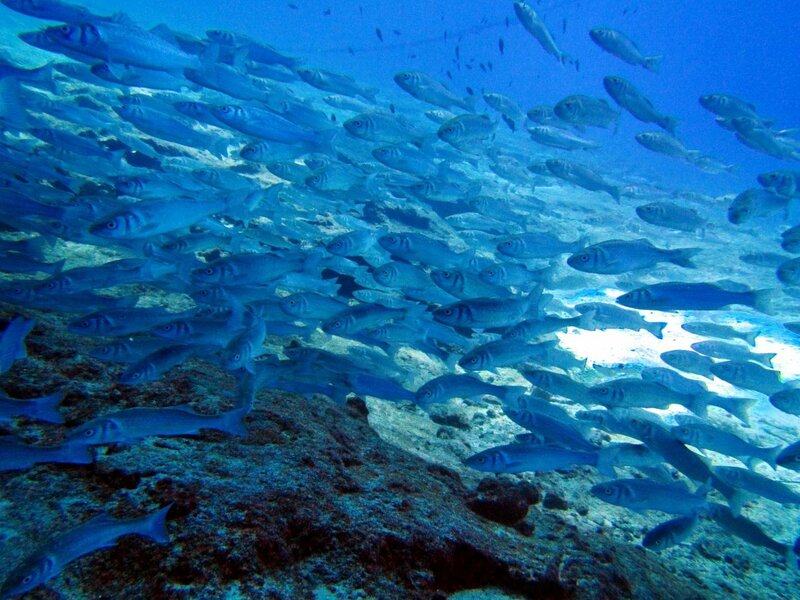 Among other samples of underwater flora and fauna, Room C also holds a tank of the indigenous Gizani fish, a protected species found only in Rhodes. On the lower floor, the aquarium is a truly magnificent space. The floor is covered with white and black pebbles and the lighting is low, all to give off an 'underwater' feeling, with the fish swimming around in all directions. Rhodes Marine Museum and Aquarium is open daily from 9:00 until 16:30. Tickets cost 5,5 Euro for adults and 2,5 Euro for children, all proceeds going to cover part of the institute's staggering maintenance expenses. For more information, visit http://www.hcmr.gr/en/articlepage.php?id=50 or call +30 22410 29308. 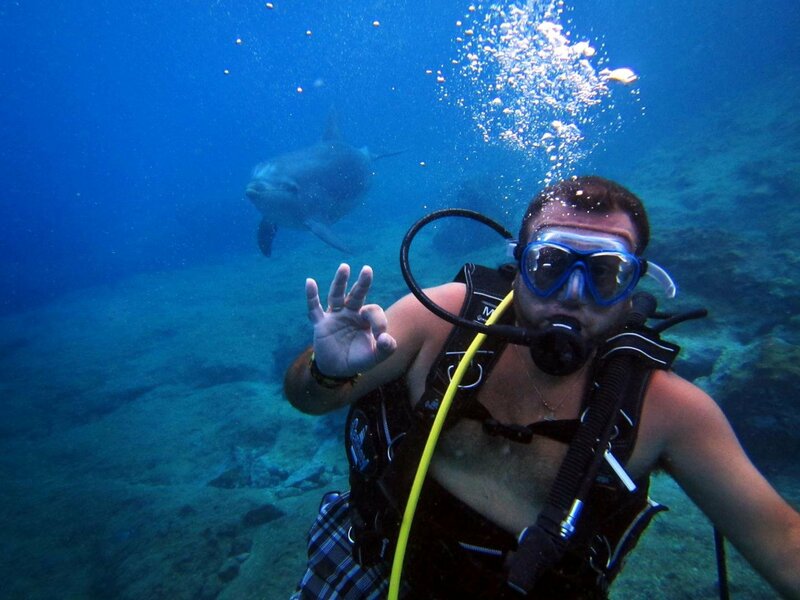 Following in the marine and underwater theme, if you and your family are keen on further exploring the sea, you should definitely visit Blunatura (+30 22410 60170). Proposing an alternative to conventional tourism and marine activities, Blunatura's experienced staff offers organized experiences in and around the sea of Rhodes. Founded and run by marine biologists, diving trainers and avid seamen, they offer a range of services and activities, including visitations on their privately owned marine farm, the small islands of Alimia and Chalki, explorations of the west Rhodean coast, day trips to Panormitis and Simi, as well as scuba diving experiences and courses. All excursions are offered in groups for participants aged from 12 up to 80 years old, so the whole family can attend, while Blunatura also shares their unique research experience on specific marine creatures, such as sperm whales, dolphins, shrimps, fish and molluscs, upon request. After all this discovering, the whole family deserves a nice meal and there is nothig better to keep everyone happy and full than... pizza! Considered by many to serve the 'best pizza in Rhodes', Danielle's Pizzeria (+30 22410 51875) is located in the area of Afantou. You should definitely try the Italian inspired Trevilagna, Mafiosa and Vezuvio, and the pizza flavour inspired by the... Greek salad. Mothers will surely appreciate the light pizza options. 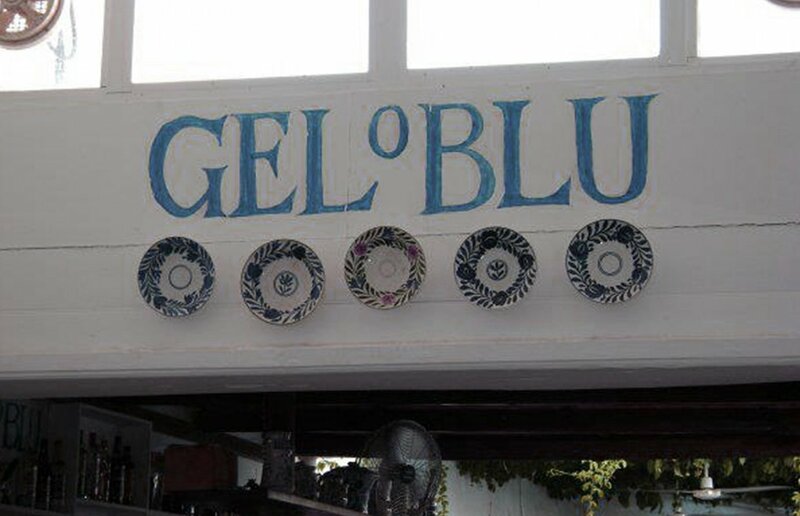 If you happen to be around Lindos, don't miss a visit at Gelo Blu Ice Cream Parlour (+30 22410 31560). Masters in the art of temptation via... gelato, the owners offer spectacularly delicious home made cakes and ice creams, which can be served and enjoyed at the pebbled courtyard, the rooftop terrace or the traditional indoor sala. Another highlight for the family album of vacation memories from Rhodes!